Receipt for 1 fowl and 1 doz. eggs from Hugh Graham, Chamabad(?) 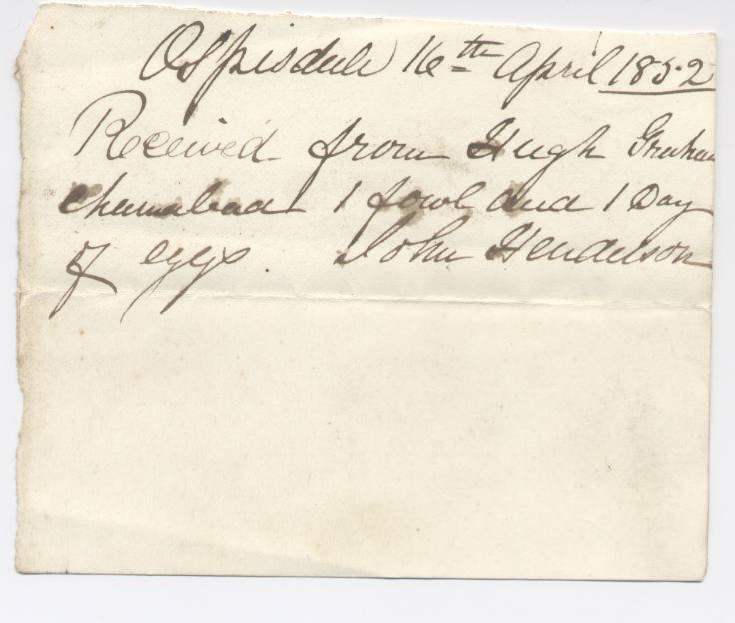 dated Ospisdale 16 April 1832. Signed John Henderson.